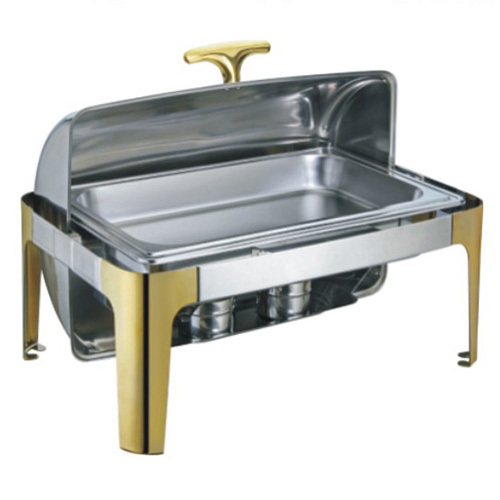 Have the perfect combination of style and functionality at your buffet, party, or catered events with this 8 qt. rectangle chafer. Its 201 series, mirror-polished stainless steel is both beautiful and durable, while sturdy, curved legs are included for added allure and stability. 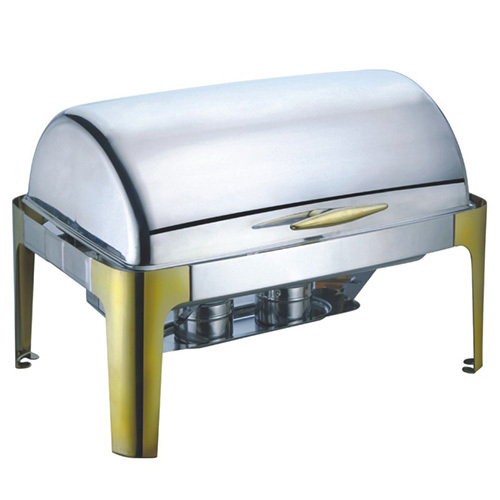 Not only does this chafer look great, but it is also highly effective at keeping your hot food at the perfect serving temperature for the duration of your catered event or dinner hours. Also, the roll top lid will hold three positions: closed, 90 degrees, and 180 degrees, for easy use by your staff or guests. Give your customers and guests the dining experience they deserve with this chafer.